In my humble opinion, there’s only one way to grill corn – out of the husk and directly over the coals (not gas – that ain’t even real grilling). 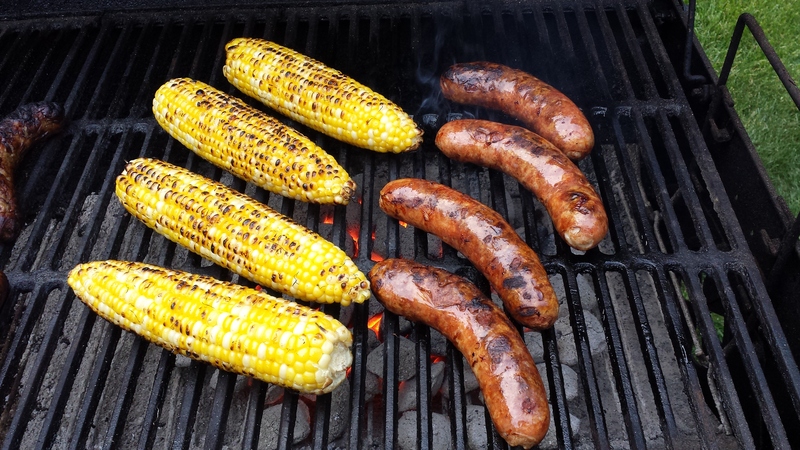 Now I know a lot of folks, including some very close friends, like to leave the husks on their corn when they grill it. I don’t know, something about sealing in the juices. But the fact is, corn has plenty of water and it’s not like direct grilling it dries it out. Quite the contrary. Grilling in the husks is basically just steam cooking using heat from the grill. Direct grilling accomplishes something important that steaming doesn’t. When you direct grill corn, the sugars in the water caramelize, resulting in an extraordinary sweetness that is accented by a touch of smoky goodness. Trust me, nothing else compares. Spread this on your grilled corn and then spritz it with some fresh lime juice, and I guarandamntee you’ll wish you had grilled more. Please trust me on this; you’ll never want corn cooked and served any other way ever again.